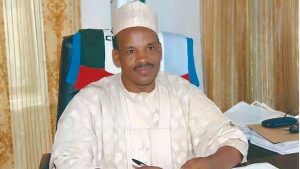 The Nigerian envoy to the Republic of Trinidad and Tobago, Alh Hassan Ardo Jika, and the governorship candidate of the All Progressives Congress (APC) in Taraba State, Alh Sani Abubakar Danladi, on Thursday, escaped assassination attempt when some hoodlums allegedly attacked their convoy in Wukari Local Government Area of the state. The incident occurred when Danladi, who is currently on a campaign tour of the southern zone of the state, was on his way to Ibi Local Government Area and his convoy ran into the youths in their numbers who were said to have barricaded the Ibi roundabout in Wukari. As at the time of this report, the whereabouts of the APC governorship candidate and the ambassador could not be ascertained as some of the persons in the convoy were believed to have escaped to the police area command in Wukari. Artimas said that “while we were on our way to Wukari, they received information that a local government chairman allegedly sponsored some youths to burn down APC billboards and facilities in the area. Efforts to get the Police Public Relations Officer (PPRO) of the state, ASP David Misal, to comment on the issue were abortive as he did not take the calls put to him by our correspondent before this report was filed. Our correspondent reports that tension was very high as rampaging youths were seen around the town in clusters burning tires along the streets.